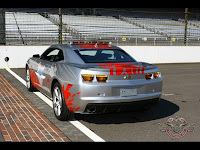 For the first time since 2003, the Indianapolis 500 Pace Car will not be a Corvette. 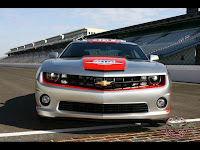 Today at the Indianapolis Motor Speedway, IMS President Joie Chitwood alongside Indianapolis 500 champions Al Unser jr., Johnny Rutherford, and Eddie Cheever announced that the 2009 Pace Car will be the 2010 Chevy Camaro. The driver will be announced at a later date.